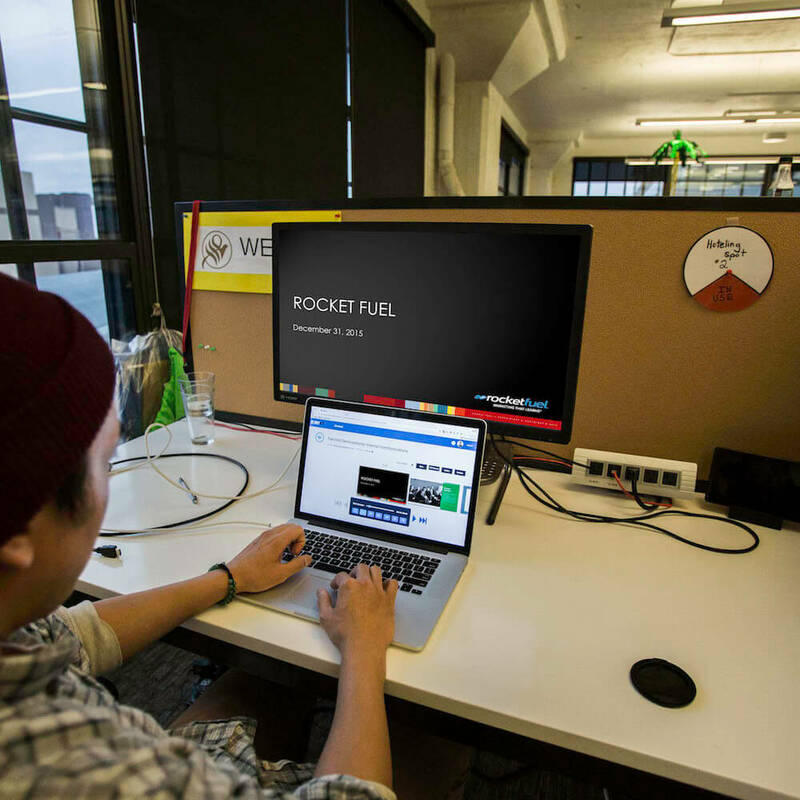 Rocket Fuel is an advertising technology company based in Redwood City, California. It was founded in 2008 by Yahoo alumni. With more than 20 offices worldwide, they trade on the NASDAQ Global Select Market under the ticker symbol “FUEL.” They were founded in March 2008 with a vision of transforming the digital advertising industry through big data and artificial intelligence. At a time when RTB (Real Time Buying) and ad exchanges were still in their infancy, Rocket Fuel quickly grew into the industry leader by bringing the precision and conclusiveness of science to the world of marketing to drive higher ROI. One of their biggest challenges was keeping the IT teams across the country and around the world up to date with current initiatives, messaging regarding KPIs, customer wins, system tips and tricks, shared communications, and internal training. Rocket Fuel used to do this with an individual Mac Mini running a slideshow for each screen. They’d have to send a copy of the deck to each office to manually upload. They also wanted an easier way to do corporate communications, employee engagement, welcome signage in the lobby, and for Town Hall meetings. Skykit makes digital signage easy. Rocket Fuel’s IT teams could continue to create content in the applications they already used, and Skykit distributes it to their seven locations including NYC, South Norwalk, East Lansing, MI, Chicago, San Francisco, London, and HQ in Redwood City, CA. Since implementing Skykit, distributing content to other offices has been much easier and faster, and now they’re able to keep a constant flow of information shared with teams around the world. This creates a more welcoming and engaging environment. In the Cafe, large screens are used for internal communications, town hall meetings, videos, and Direct TV. The environment uses 13 cameras, pedestal, microphone, switch box, and large screens. Rocket Fuel has already seen Skykit product evolution with new features and functionality to support their business goals.